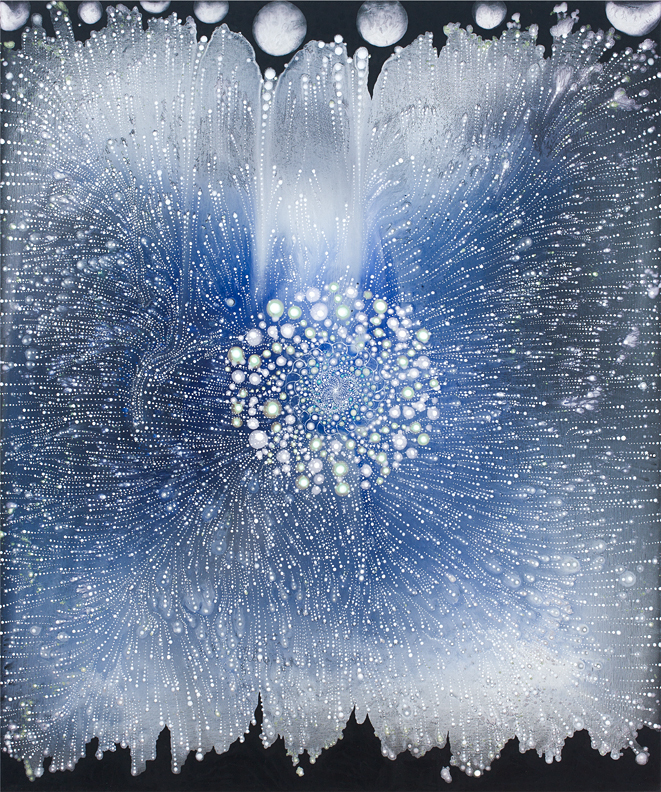 Contributed by Leslie Wayne, NA / Barbara Takenaga, NA has been pitting her skill at painting pattern against the physical constraints of materials for years, and her skill has usually won out. For a long time, bodies of work based on the Mandala were her signature motif. She meticulously painted carefully plotted circular patterns with the devotion of a Buddhist monk. Then she abruptly shifted, not only in her approach to process but in size and scale. What has happened in the last three shows since she started exhibiting with DC Moore Gallery is a deliberate privileging of chance. This has not in any way diminished her labor-intensive process. In fact, labor in a way has taken on a greater role, though in such a sly and sophisticated manner that you would never know that, for example, she painted what you think is the background last instead of first. Does it matter that one is painted over the other? 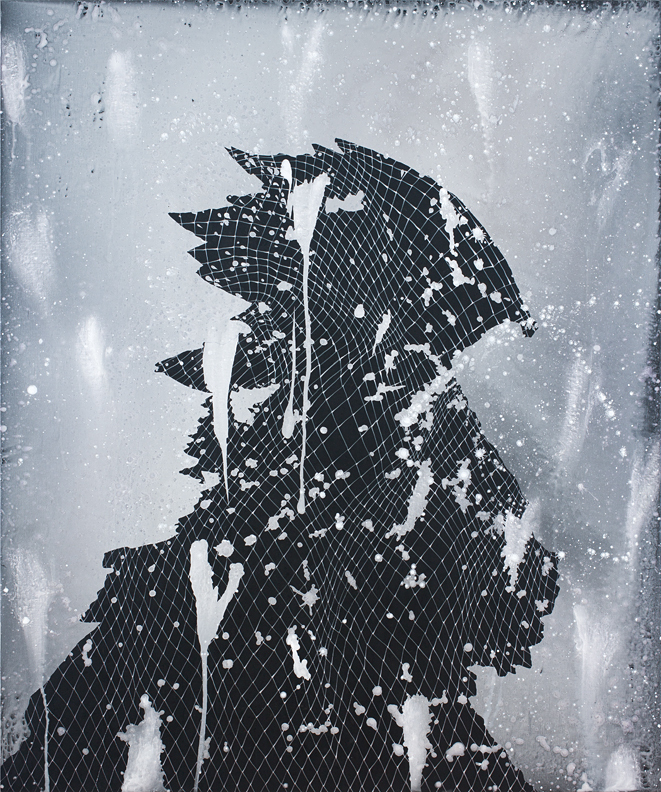 Not in terms of the work’s conceptual underpinnings. Only to Barbara, whose love of the labor itself is close to sacrosanct.